Railpictures.ca - Luke Bellefleur Photo: With a 15mph speed restriction, CP T28 comes back from Detroit with CP 6223, BNSF 3889 & CP 5023. It would meet CP 141 behind me. | Railpictures.ca – Canadian Railway Photography – photographie ferroviaire Canadienne. 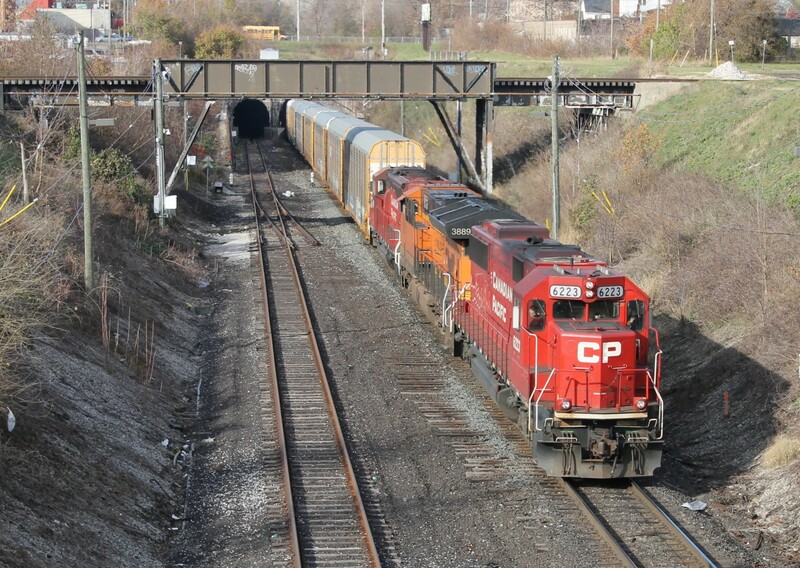 Caption: With a 15mph speed restriction, CP T28 comes back from Detroit with CP 6223, BNSF 3889 & CP 5023. It would meet CP 141 behind me.